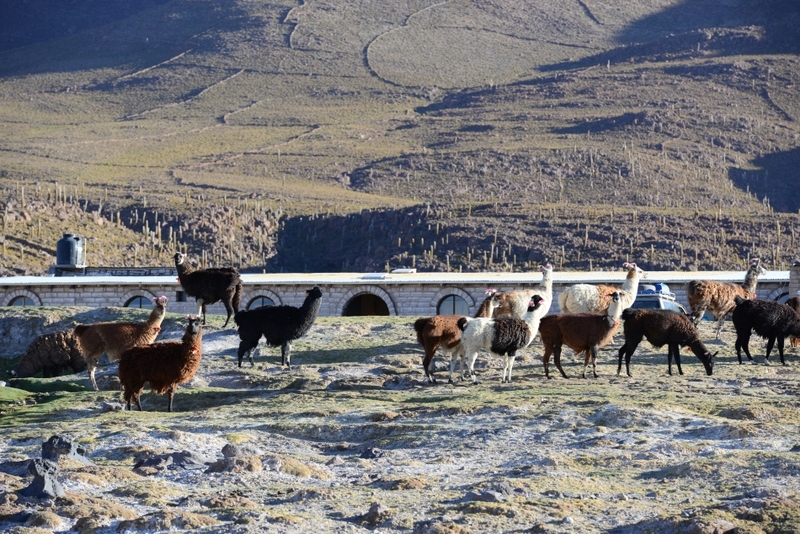 At home, we read from other travel blogs that border crossing at Villazon/ La Quiaca could be a frustrating, chaotic and time consuming experience (waiting in line for up to 8 hours and so on). Therefore, we decided to start early hoping to beat the crowd. 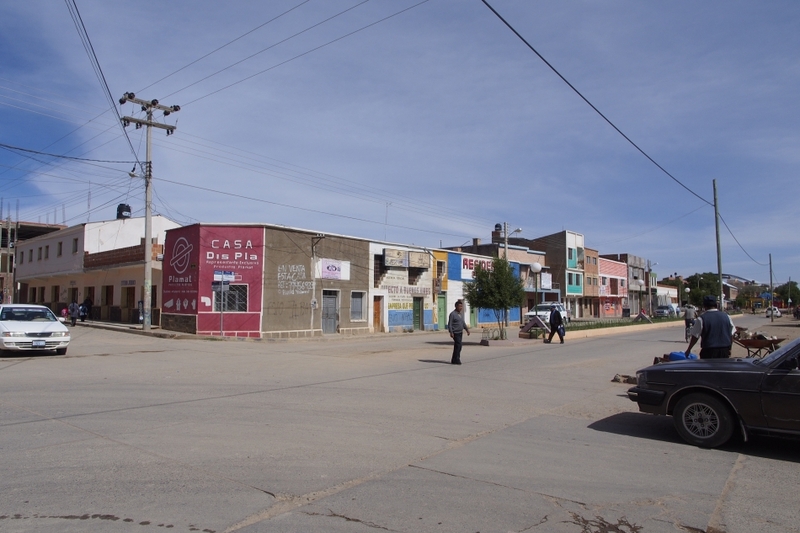 From Tupiza, we took a shared taxi at the bus terminal heading to Villazon, the border town on the Bolivian side. 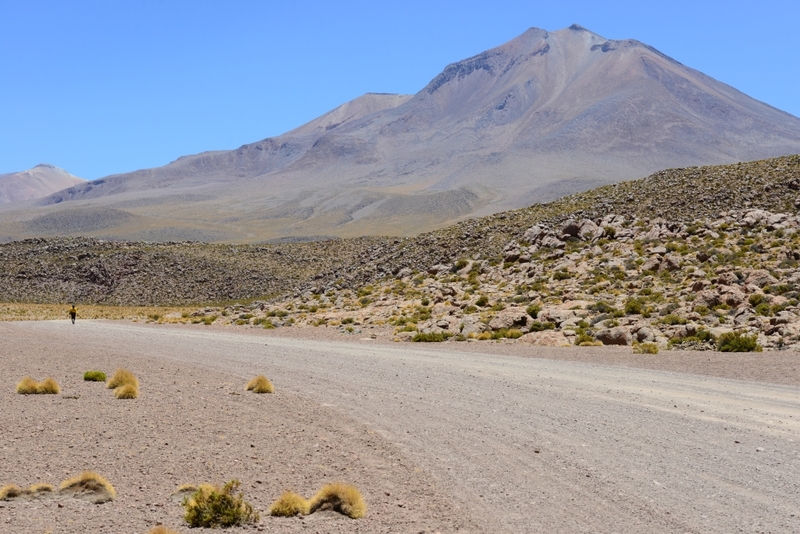 The ride was pleasant on a paved road, and it gave us one last opportunity to admire the landscape outside Tupiza. The ride to Villazon took only a little over an hour. After we arrived in town, we then switched to a local taxi to the international bridge separating Bolivia to the north and Argentina to the south. When we got to the bridge just before 9am, we saw a huge crowd gathered in front of the bridge, and the bridge seemed to be closed. 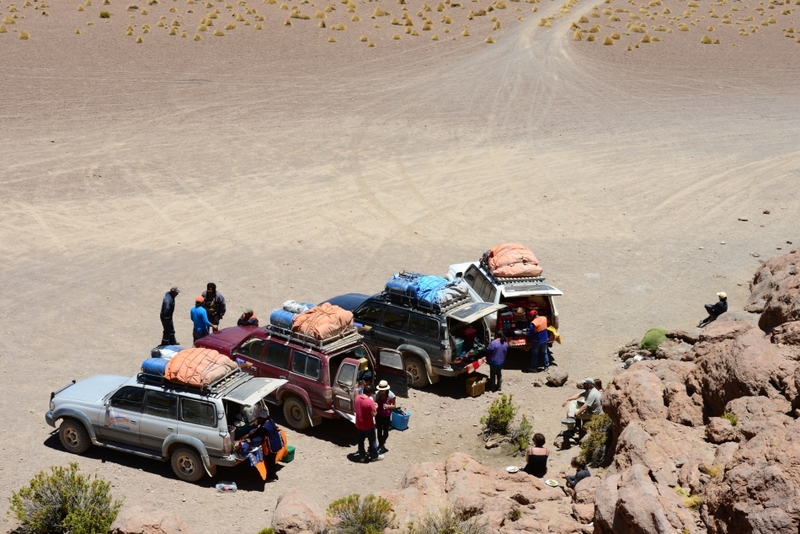 We used our limited Spanish trying to find our way to the Bolivian immigration and the crowd kept on saying “No Paso”. They waved us to turn around to the next street. On the next street, a local man asked us to follow him. He led us down the street to the riverbank under the international bridge, where many locals were crossing the shallow river from both directions. Since the bridge was blocked, we thought we could first cross the river to reach the immigration offices, which apparently were located at the Argentine side of the bridge. After some sweat and hassle we finally crossed the river with our backpacks and made it to the immigration office at the Argentine side. There we were told that we had to get an exit stamp from the Bolivian immigration at the window adjacent to the Argentine immigration office. We were relieved before finding out that the Bolivian window was shut with no one inside. We were told to carry our backpacks and return to Bolivia. Didn’t have a clue what to do next, we walked across the empty international bridge with our backpacks (wouldn’t want to cross the river again) to the Bolivia side, where there was a Bolivian police office. The protesting crowd was still yelling with banners in hands and occasionally igniting fireworks to gather attention. The bridge was closed and no Bolivian immigration officers could be seen anywhere. 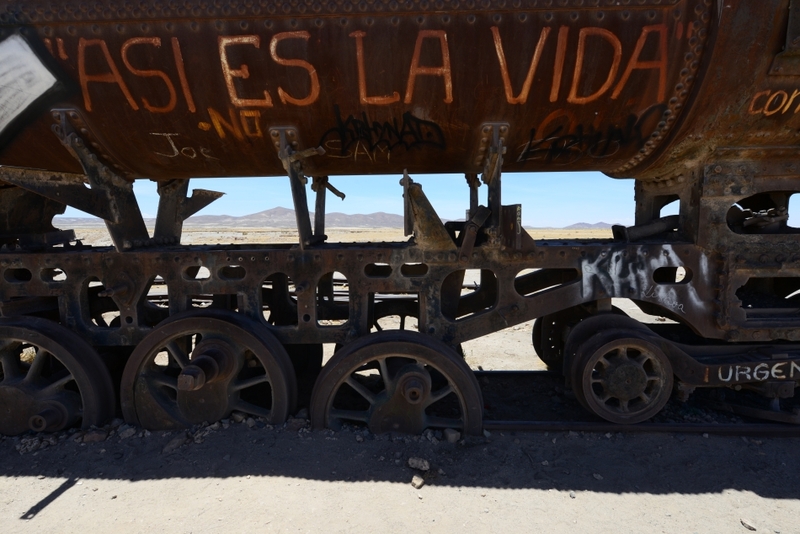 We asked the Bolivian police when the border would be reopened. We were told by 6pm perhaps, and it was only 9am! We were already tired and a little anxious about getting the Bolivian exit stamp. Looking at the crowd blocking the Bolivian side of the bridge, and the Argentine immigration office at the other end, we were the only two people stuck in the transitional zone between the two countries. We could see other tourists at either the Argentine or Bolivian side of the bridge, anxiously waiting for the reopening of the border. We kept on bugging the police and anyone we came across on the bridge. Just after noontime, a man without uniform emerged from nowhere who seemed to know everyone at the border. We stood up and asked him when the border would be reopened. He asked us to wait for a moment. About half an hour later, he told us to follow him into an immigration office at the Bolivian police control, where he checked our passports and asked us a few questions. He then led us to cross the bridge again to the Argentine side. He took our passports and went over to the Argentine officers. They shock hands, chatted a bit, and looked at our passports. At last, he returned to us, summoned us to the Bolivian immigration window, and told the two officers inside to stamp our passports. After 3 hours of frustration, we finally got our Bolivian exit stamp! We thought the man who helped us must be a high rank Bolivian immigration officer. We quickly went over to the Argentine immigrations with our stamped passports. At first, the officers in the office refused to accept our passports, saying the border was still technically closed. We were dumbfounded for about 30 seconds before a female officer came out and agreed to help us with the Argentine entry stamp. She took our passports to a tall and thin Argentine officer whom the Bolivian officer chatted and shock hands with 10 minutes earlier. From a distance, we could see the tall and thin Argentine officer nodded to the female officer. What a sign of relief! Two minutes after the nod, we got our Argentine entry stamps, got our backpacks through the “x-ray machine/ truck”, and were on our way by taxi to the bus terminal of La Quiaca (the border town on the Argentine side). Looking at the queue of people at either end of the bridge, it seemed that we were the first tourists of the day to cross the international bridge at Villazon/ La Quiaca! 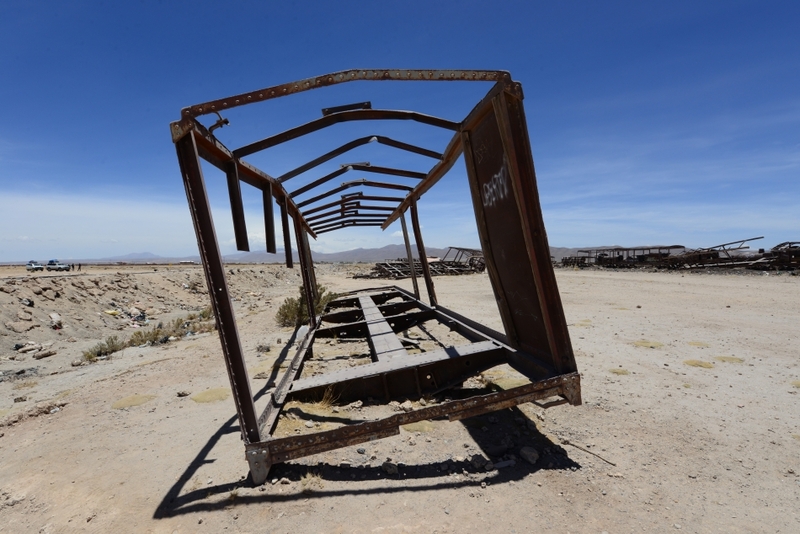 At La Quiaca’s bus terminal, we hopped onto the first bus leaving for Jujuy. 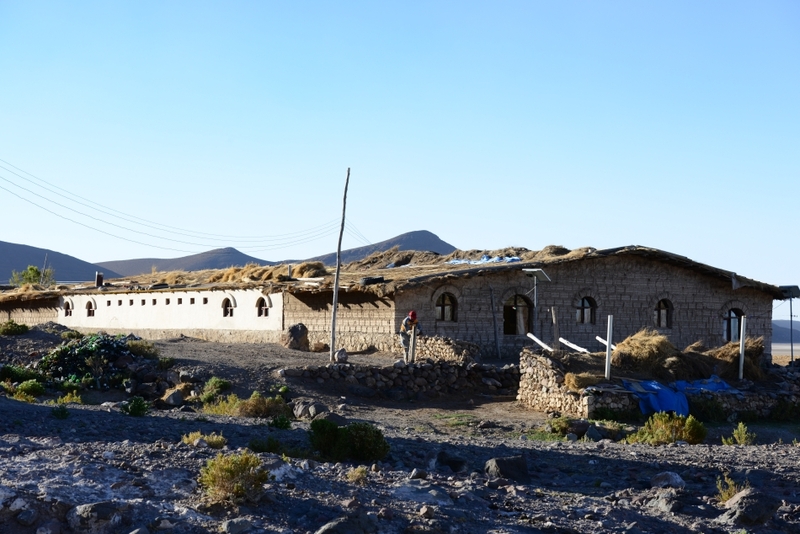 After a 3.5 hour bus ride and a backpack search at an intermediate checkpoint along the highway, we finally arrived at Tilcara, our destination of the day where we would stay for the coming three nights. 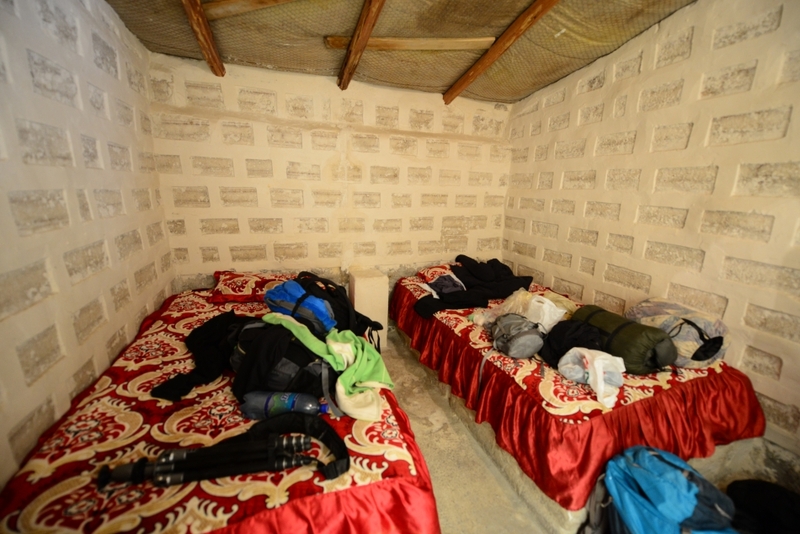 By the time we stepped into the nicely decorated bedroom at Antigua Guesthouse, we immediately dropped to the bed and felt extremely grateful and relieved about the remarkable experience at the border. 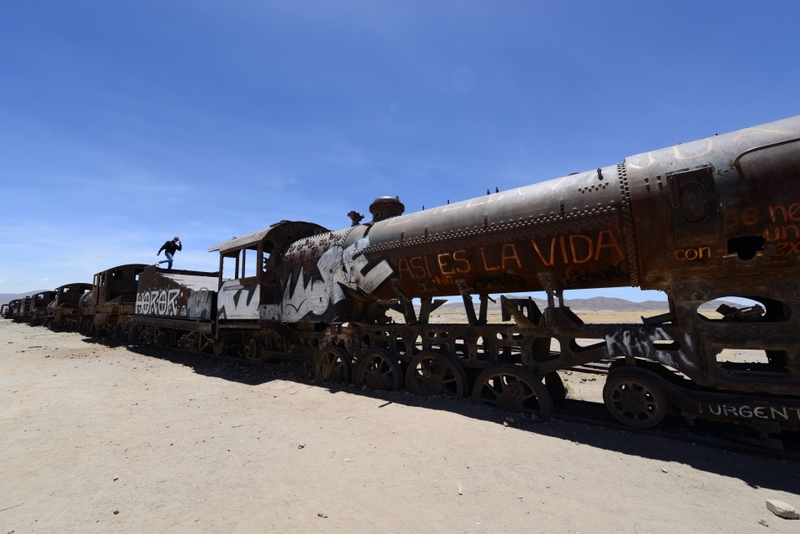 Before we had our farewell lunch, we stopped at the last attraction of the tour, the Train Cemetery in Uyuni. 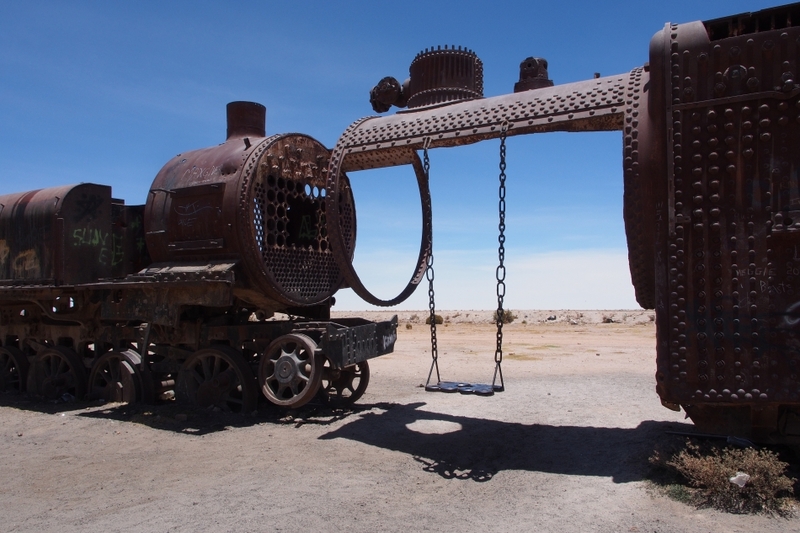 Before the mining industry collapsed in 1940s, Uyuni was a major railway hub from the mines of the interior to the Pacific coast in Chile. 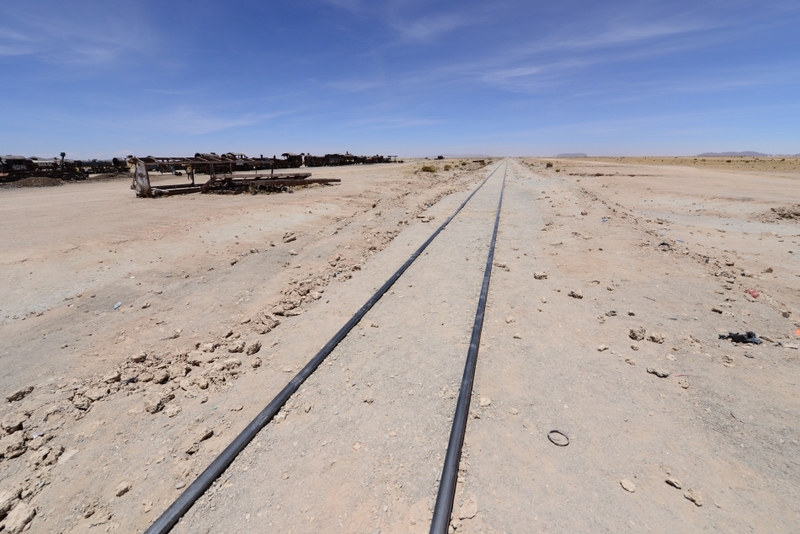 After the collapse, the cargo trains and locomotives (mainly from Britain in late 19th century) were abandoned. 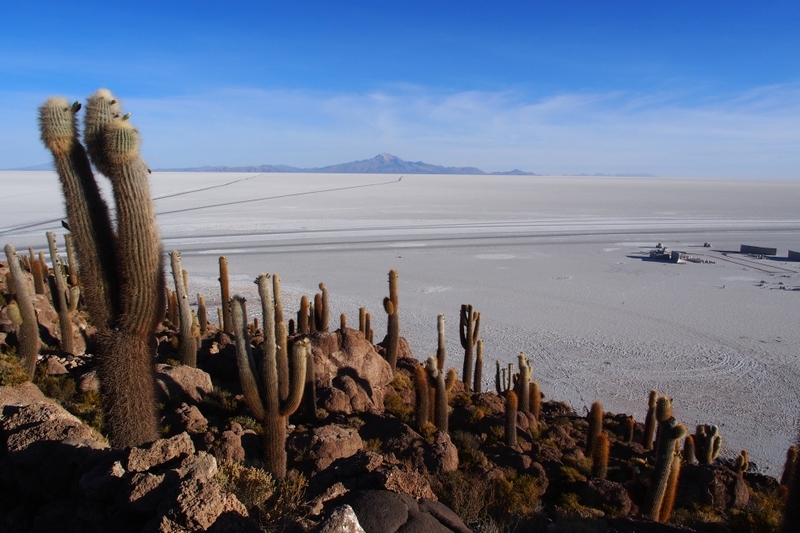 Today it is one of the major tourist attractions in Uyuni. 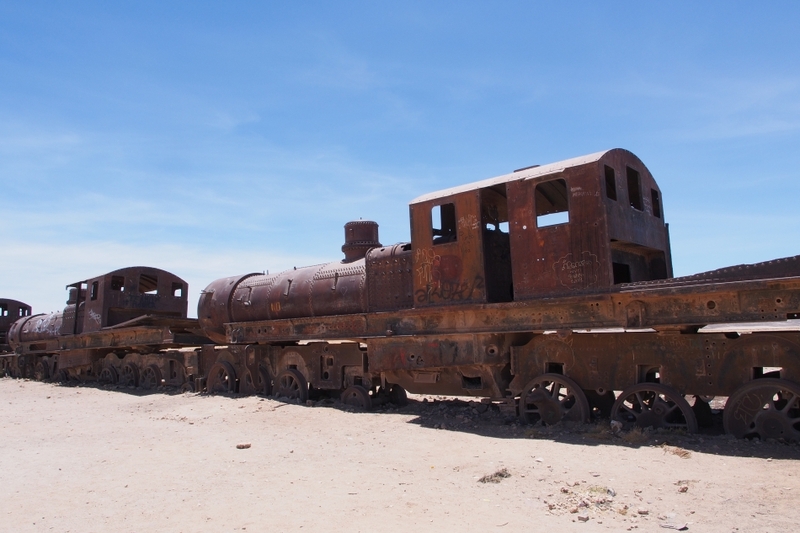 After the Train Cemetery, our group had our farewell lunch at a hotel in Uyuni. We were the only two in the group returning to Tupiza. 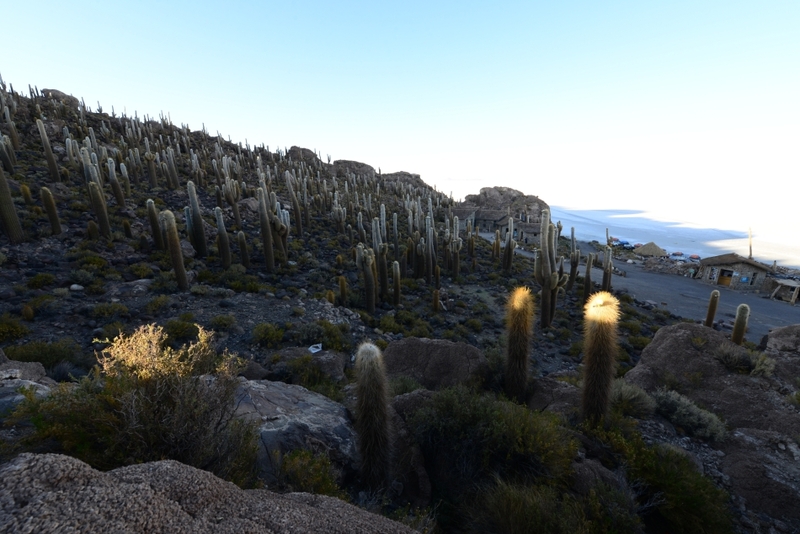 The rest of the group would depart from Uyuni for La Paz. 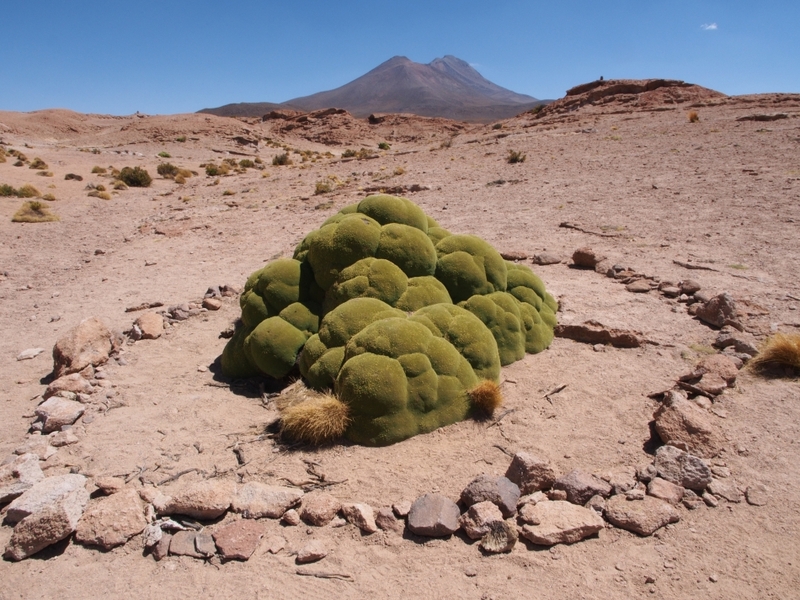 The end of the Southwest Circuit also marks the end of our journey in Bolivia. Tomorrow, we would head south to Argentina. 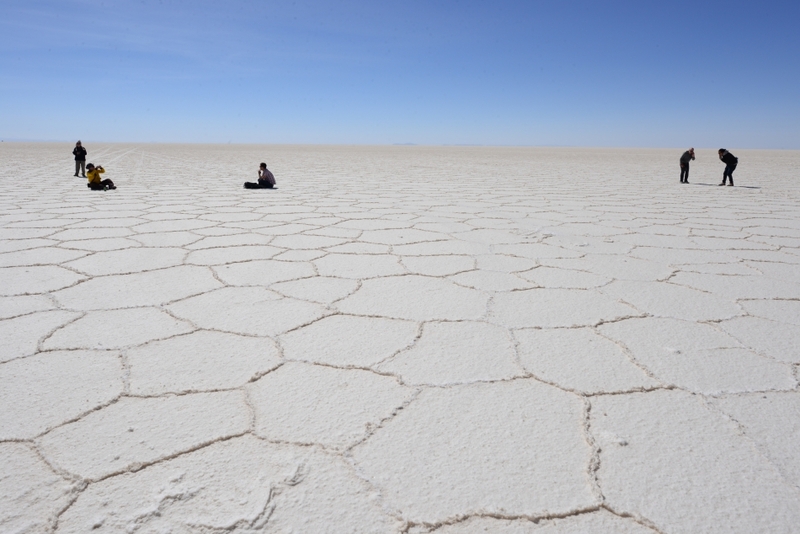 The Salar de Uyuni (Uyuni Salt Flat) is one of the most well known geographic feature in Bolivia. 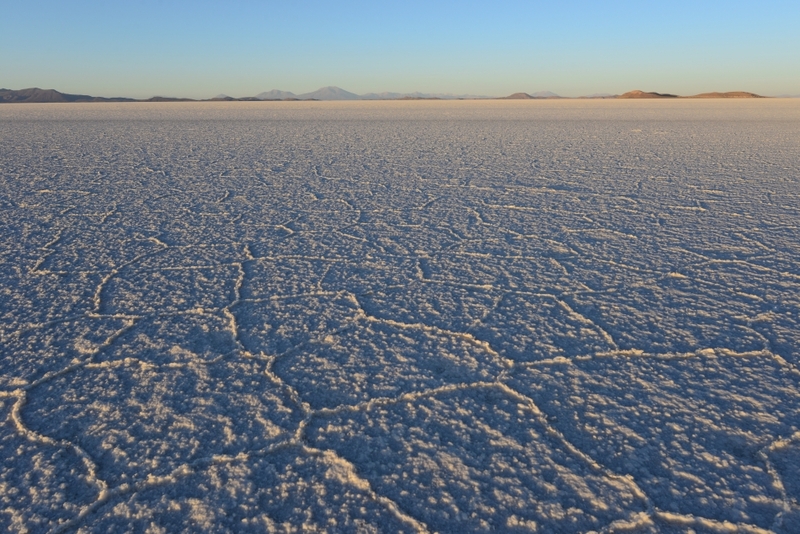 About 40,000 years ago, the salt flat was part of the prehistoric Lake Minchin. 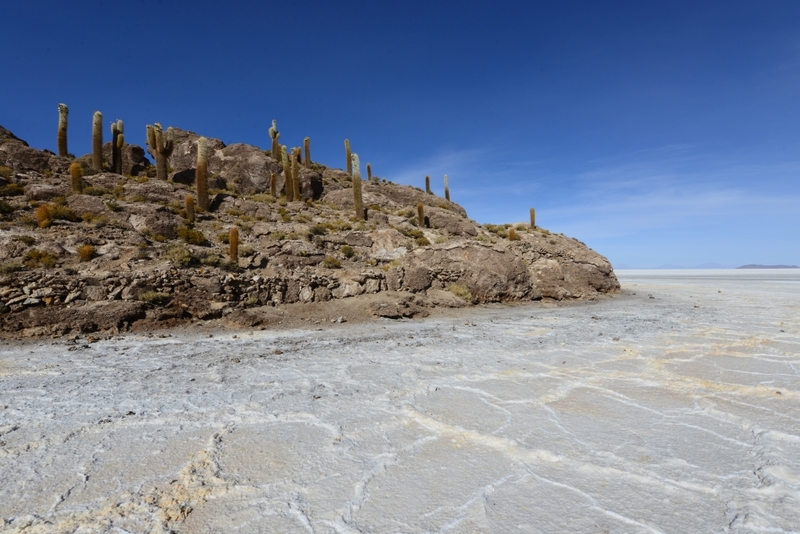 When Lake Minchin dried up, it left behind two lakes and two major salt flats, with the biggest being Salar de Uyuni. 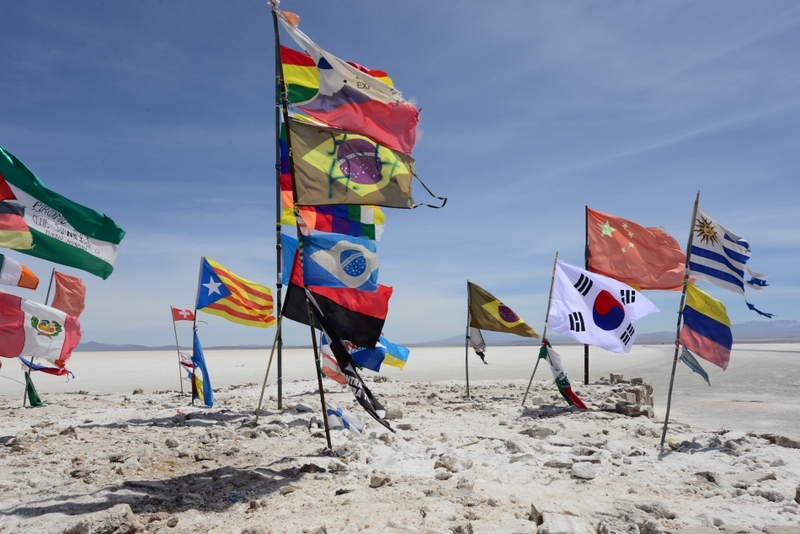 Today, Salar de Uyuni is the biggest salt flat in the world, and is visible even from the space. 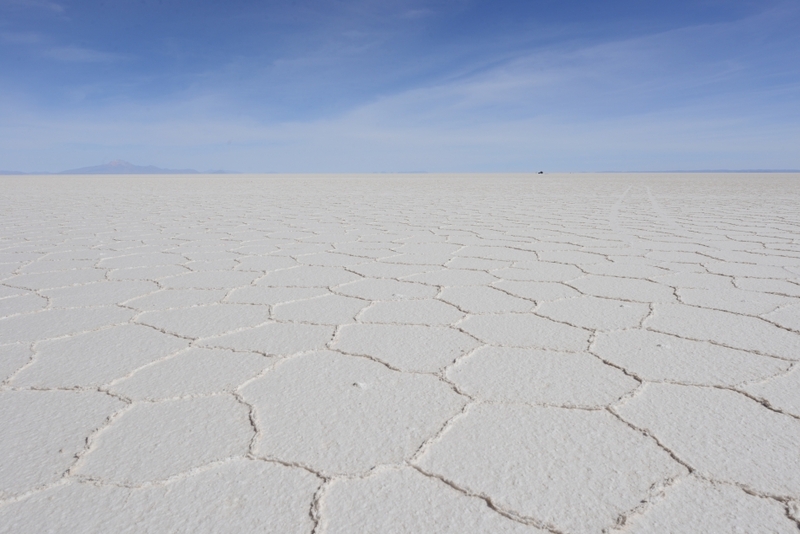 The Salar de Uyuni stays dry for most of the year, except for the wet season when it would be flooded by water. 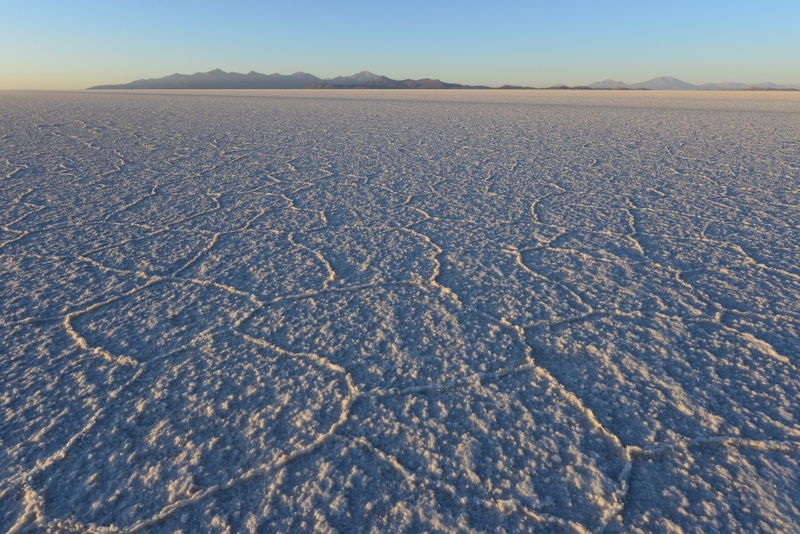 Every year during wet season, incoming water would bring salt from the surrounding area. When the water evaporates, a new layer of salt would be formed. 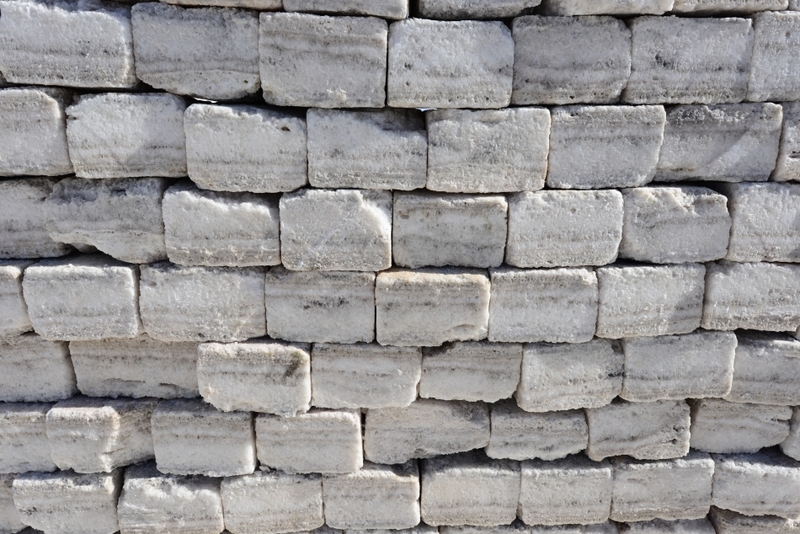 The annual layering of salt deposit is clearly visible from the salt blocks that the locals sometimes use as building materials. 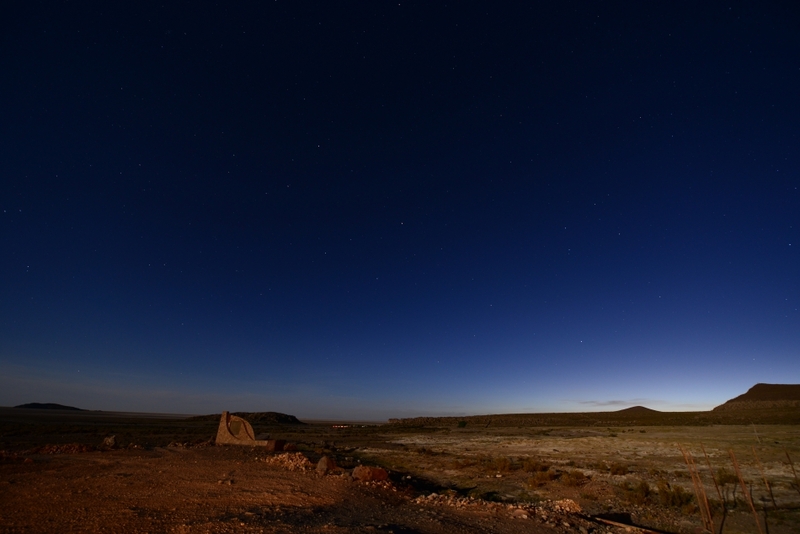 Apart from tourism, salt and rare earth extraction are some of the major industries here. 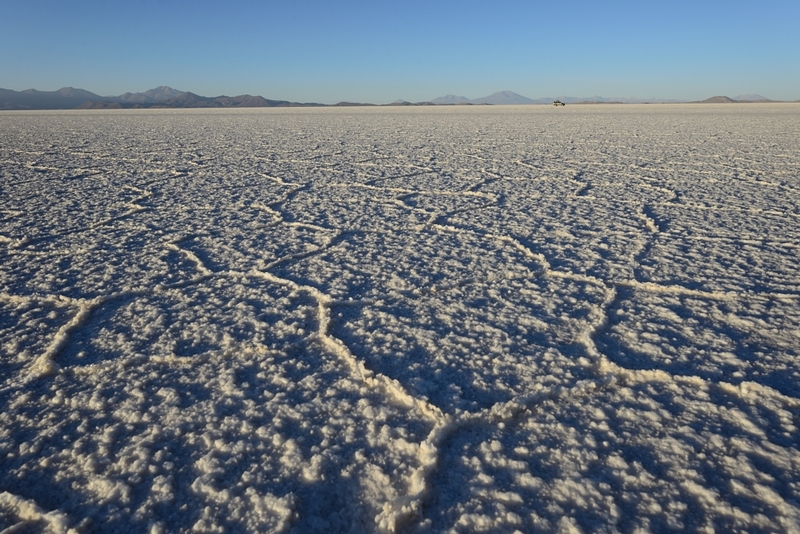 In the near future, the government is planning to expand the mining of lithium (vital component for electronic batteries) at the salt flat. 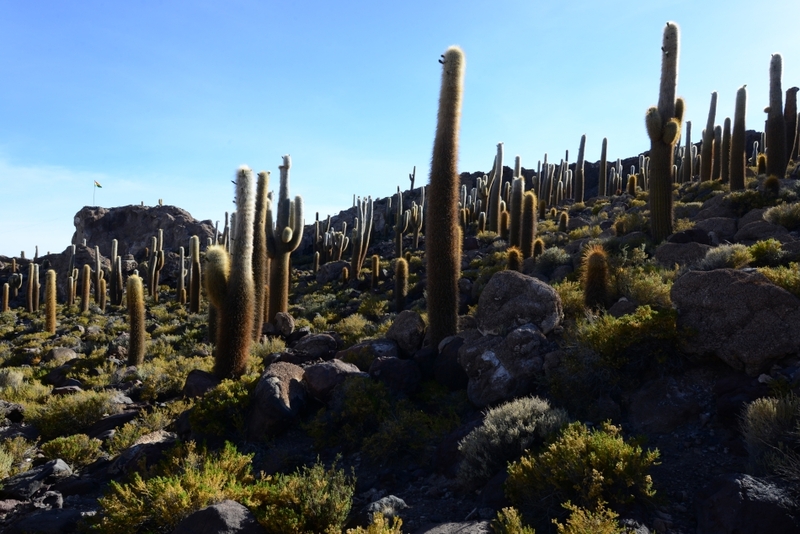 It was such strange beauty when we first saw Isla Incahuasi (Inca House Island). 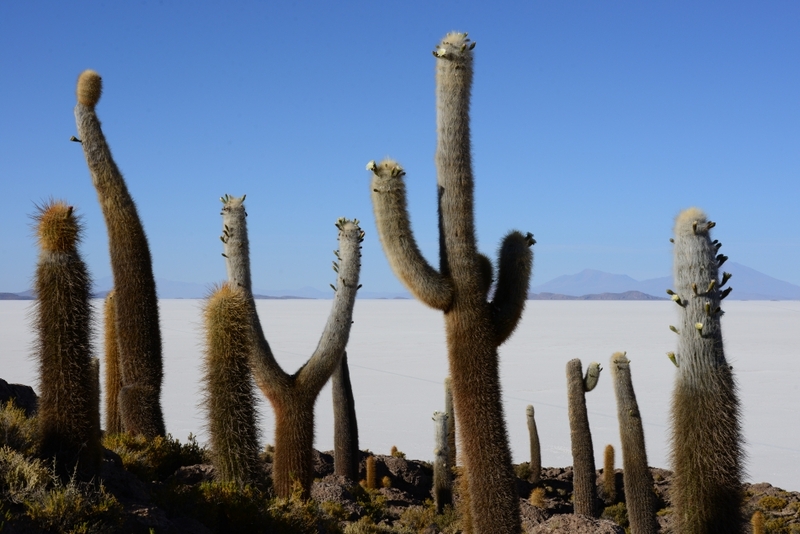 Located in the middle of Uyuni Salt Flat, the unique island is full of giant cacti. 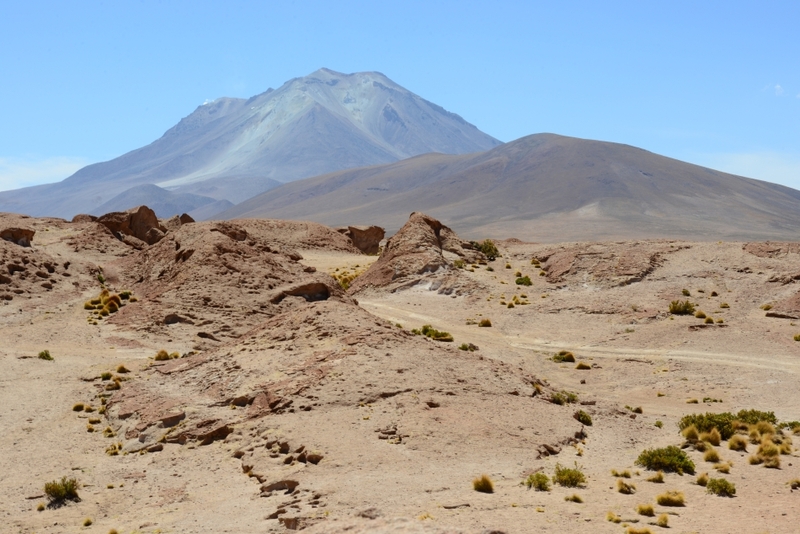 Many rocks on this former volcano are actually fossilized corals, reminding us that 40,000 years ago the salt flat was once Lake Minchin, a prehistoric lake that has since dried up. 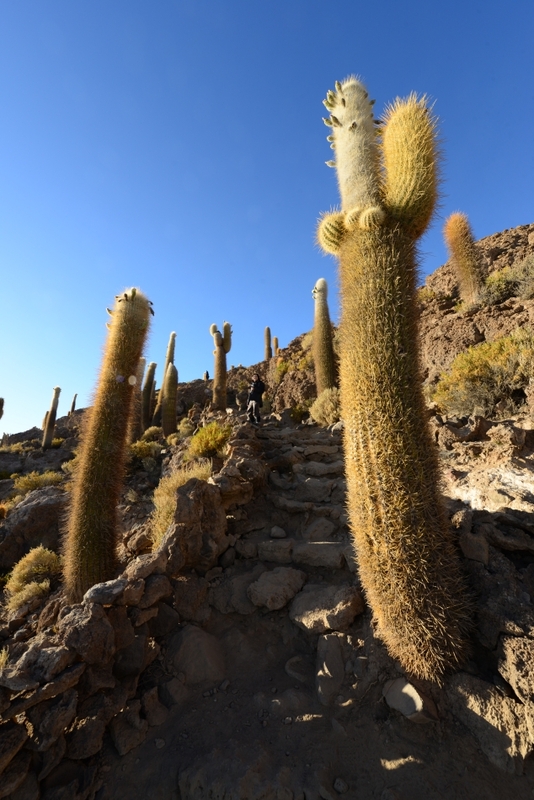 On Isla Incahuasi, the tallest cactus is about 9m tall. 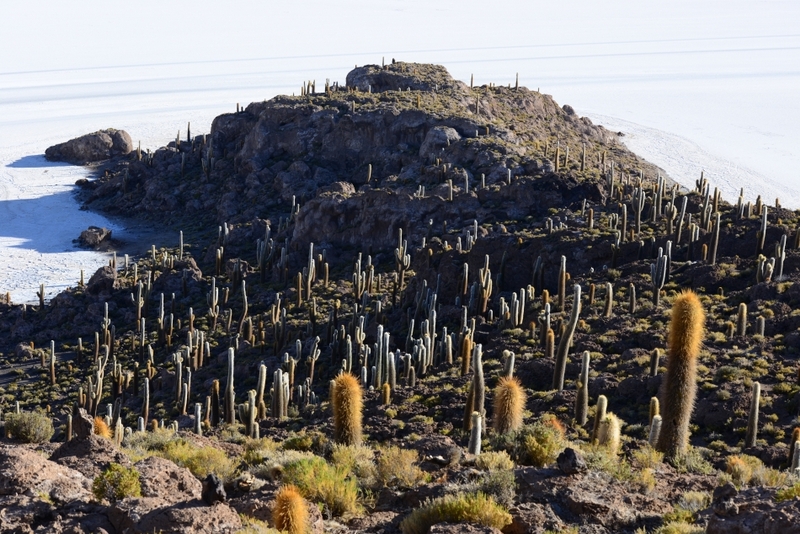 At the top, Isla Incahuasi offers a good views of the salt flat and distant mountains. 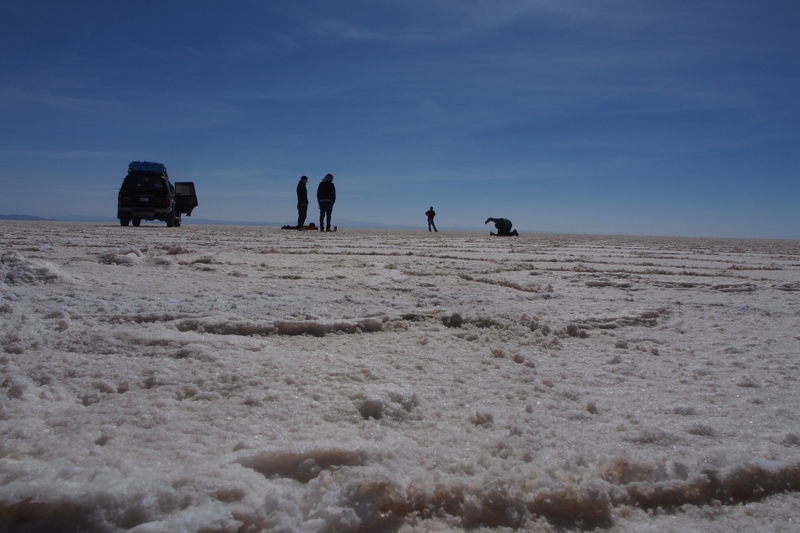 Finally we were on our way out to the Uyuni Salt Falt. 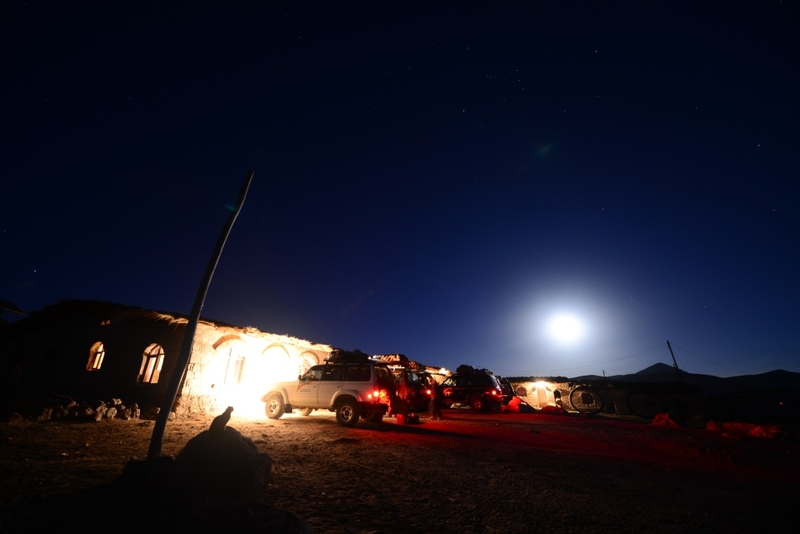 The sky was already pretty bright as our 4×4 rushed out to the open whiteness looking for the perfect spot to see the sunrise. 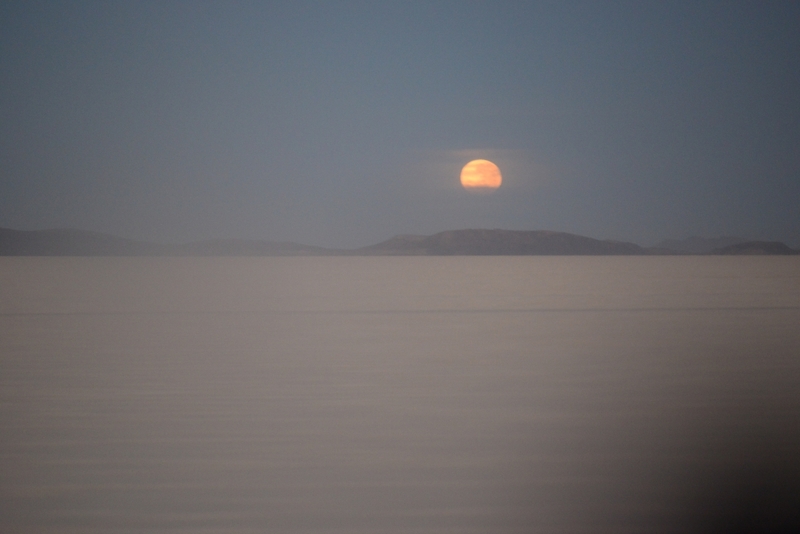 The moon was getting lower and lower on our left, and gradually disappeared under the horizon. After half an hour, the driver stopped our 4×4. 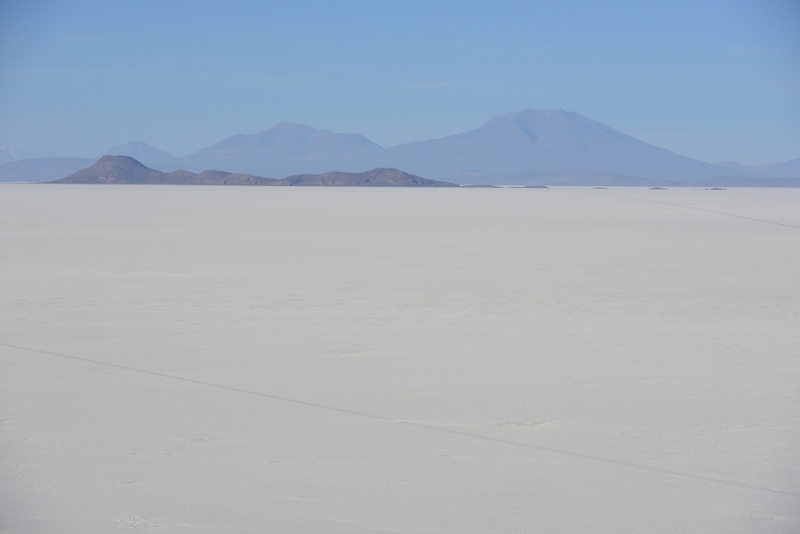 We opened the door and made our first steps onto the famous Uyuni Salt Flat just after dawn. The view to the distant mountains under the early morning sunlight was sublime. Today was the last day of our Southwest Circuit tour. 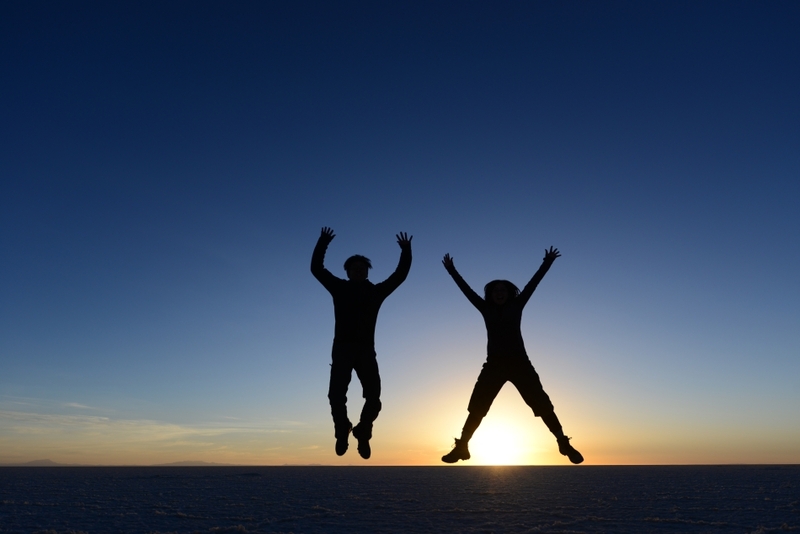 Finally it’s time for the Uyuni Salt Flat! 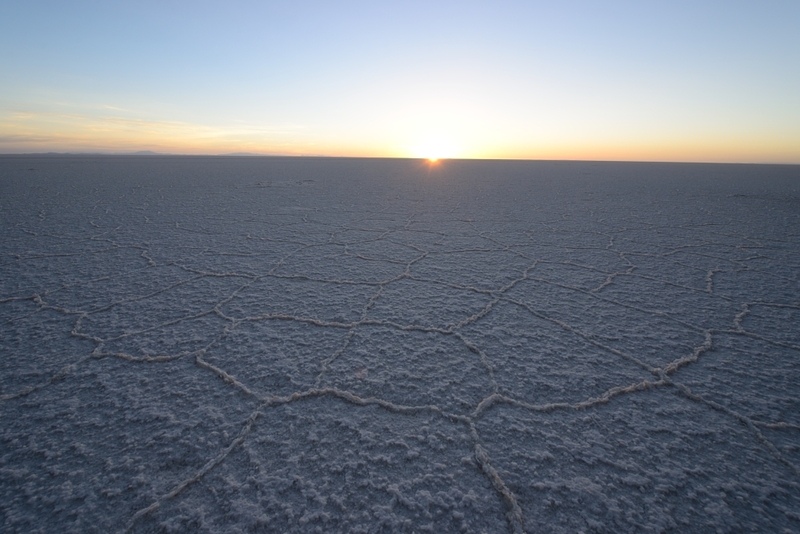 We got up at around 4:30am to prepare for our early departure to see the sunrise at the salt flat. 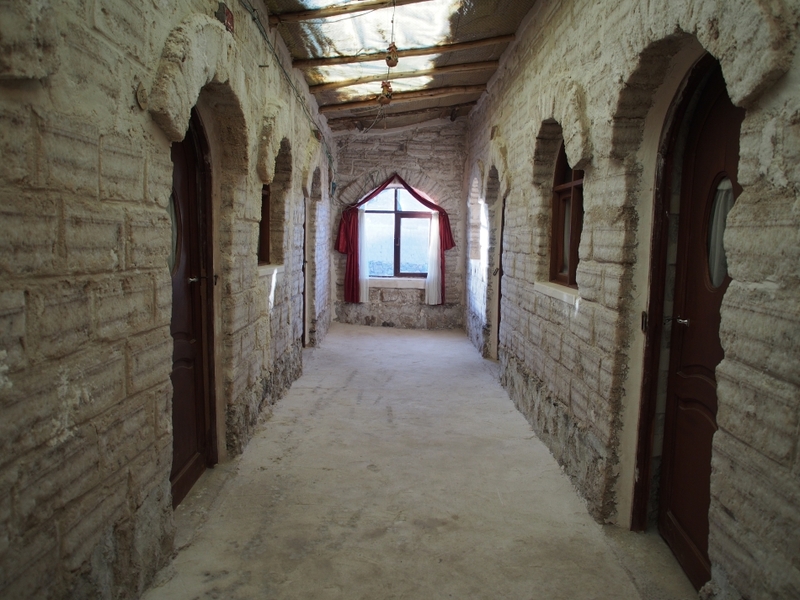 Compared to the last two accommodations, this last guesthouse was quite unique. 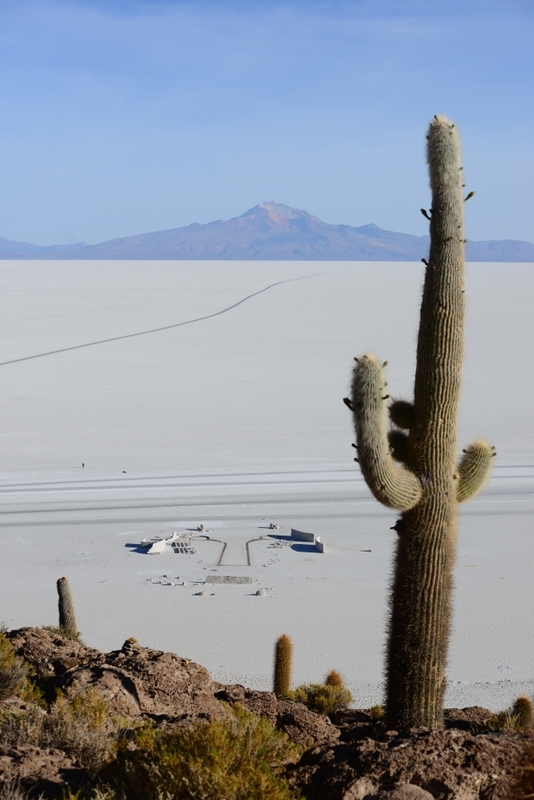 It’s a large complex built with salt blocks located near the salt flat. The facilities were still quite basic, but at least there were hot showers for sell. After the lagoons, we stopped by a rocky hillside for lunch. 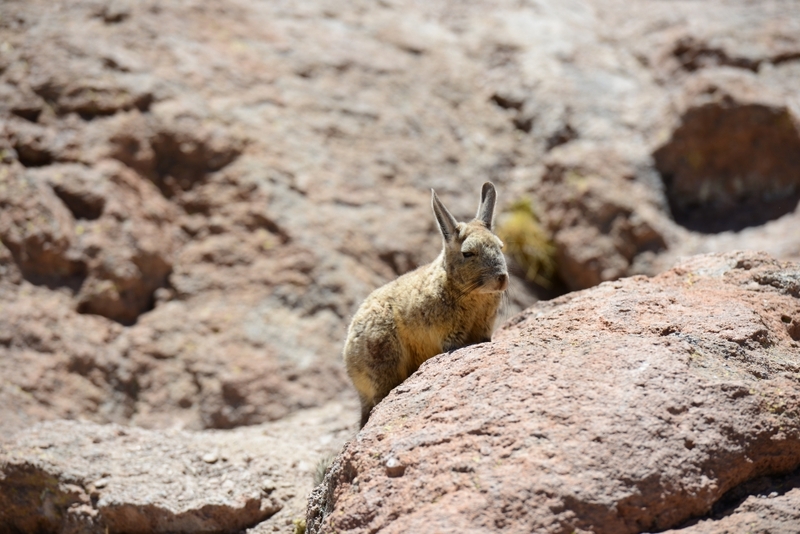 There were many large rabbits in the area jumping between rocks. In the afternoon, we reached a lookout to see the Ollague Volcano. 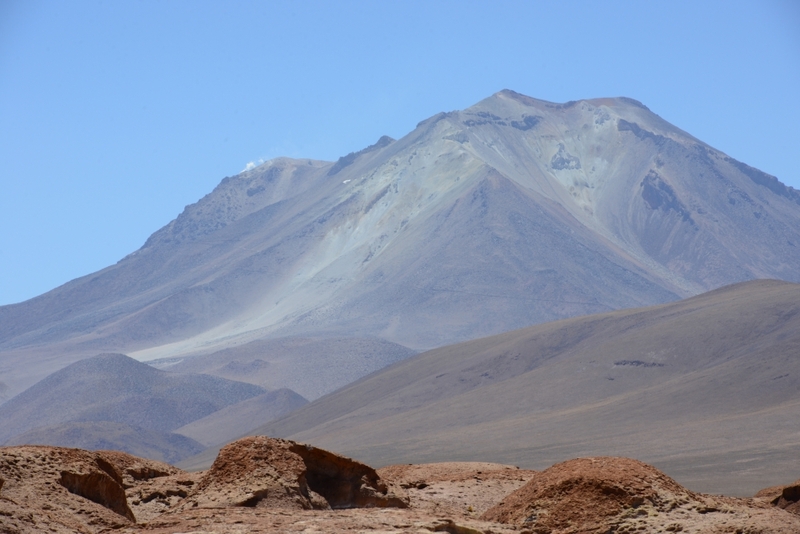 The Ollague is one of the many active volcanoes in the area. From afar, we could see smoke coming out from the crater. Near the lookout, we passed by an enormous moss plant, which typically would grow only 1 to 1.5 cm per year. We spent the rest of day on the road to our night accommodation.